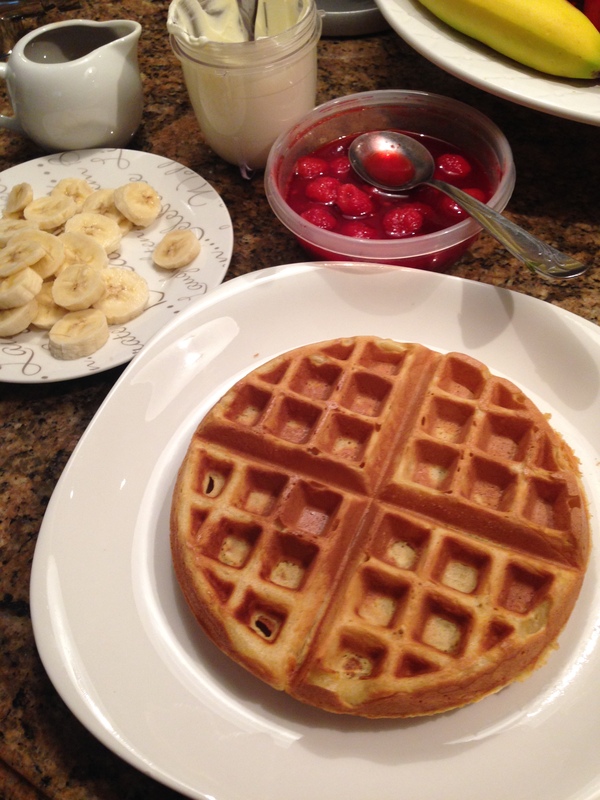 When Elfie was growing up her Oma (grandmother) often made waffles for Friday lunch. The memory of the warm smells coming from her kitchen linger in Elfie’s memory to this day. It would only be right if we shared our Two Food Nuts waffle recipe so you can make memories for your family. These waffles are restaurant quality and can be topped with anything that you love. However it wouldn’t be a Two Food Nuts recipe unless the result was over the top! See what we mean! 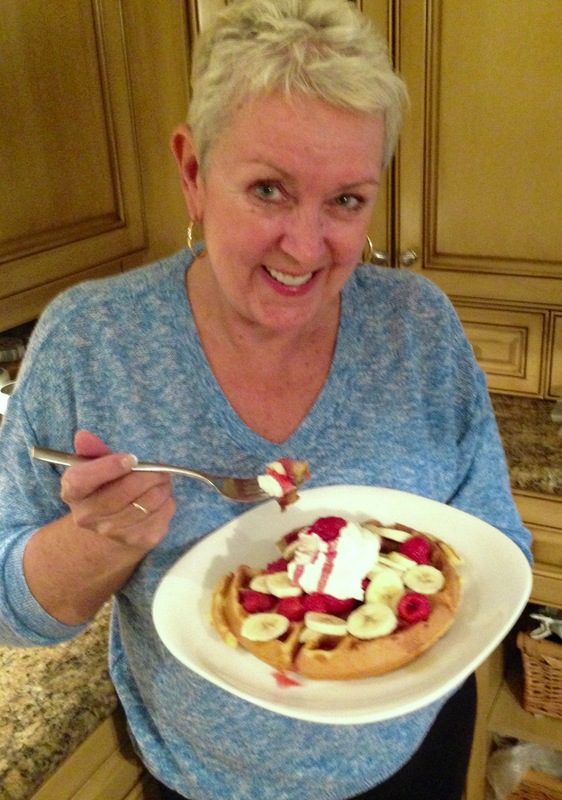 Fluffy warm waffles, homemade raspberry sauce with fresh berries, real maple syrup and what’s a waffle without real whipping cream to complete the story. For the record, Oma did not top waffles like this. She would have offered cinnamon sugar, end of story. Place dry ingredients into one large mixing bowl. Start by mixing the wet ingredients well and then pour into the dry ingredients. 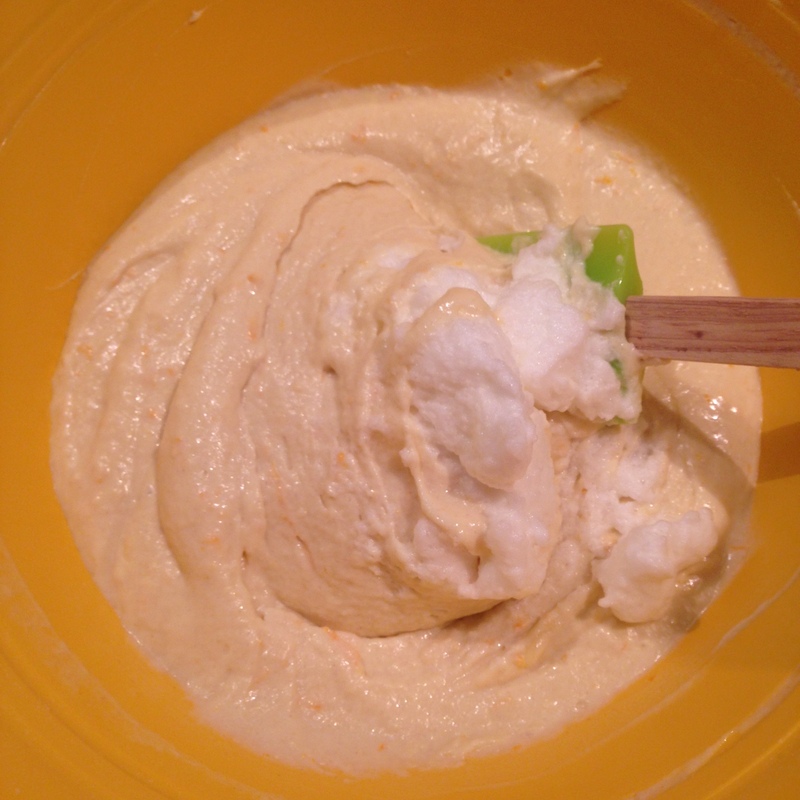 With a whisk, mix to incorporate into a thick batter. Pour in the melted butter and stir well. 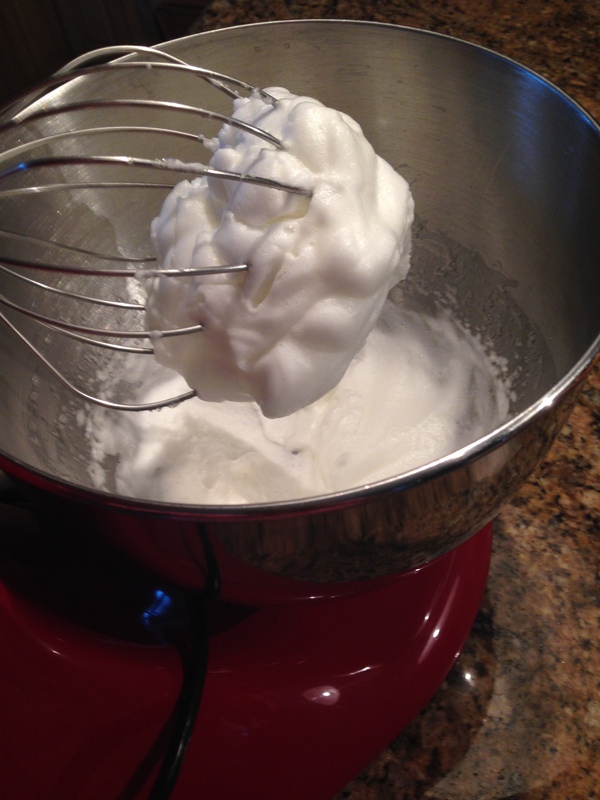 Finally fold in the egg whites gently so the batter becomes light as a cloud. Spray the waffle iron with a light coat of baking spray or a bit of melted butter and a basting brush. 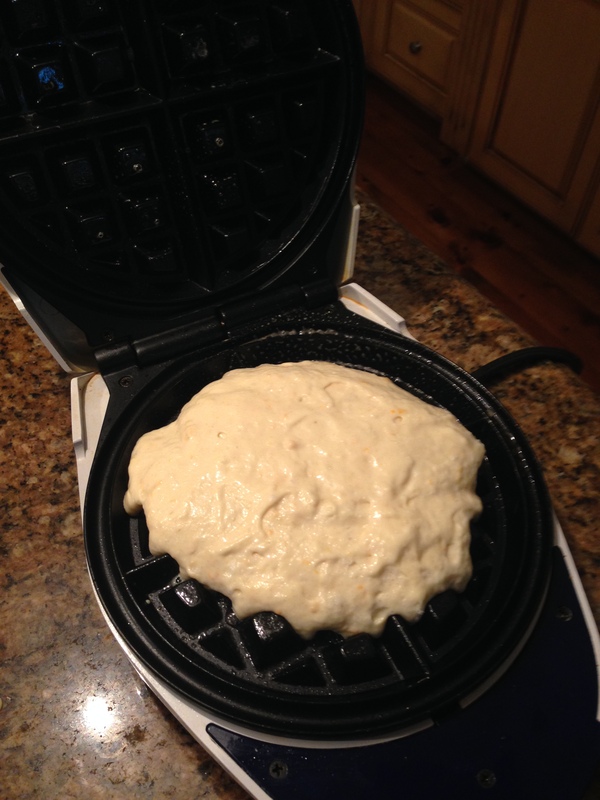 Fill the waffle iron to about 2/3 full and close. Resist the temptation to open the waffle iron. This will only result in tearing the waffle. Wait until there is only a little steam coming out and you can see the waffle puffed up in the iron. Dress your waffle as you wish. 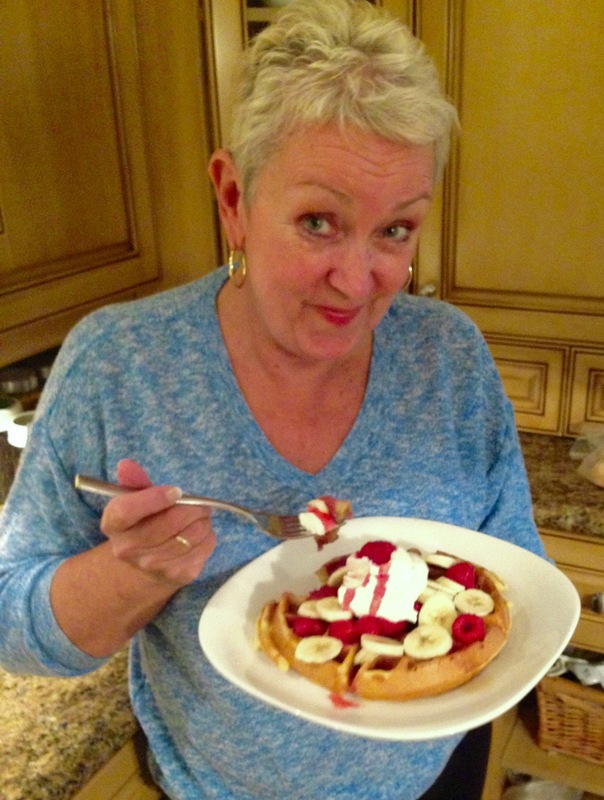 Berries, bananas, syrup, whipping cream, bacon crumble, you name it! Dig in!